Yes, that is a cheap and convoluted reference to Star Wars Day. Let’s move on. 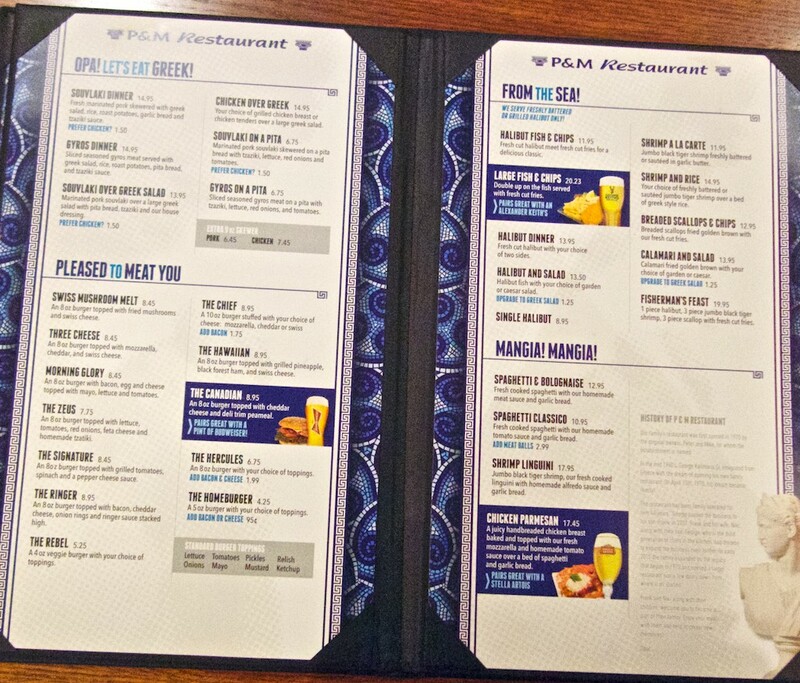 On May 4th at 10:00 a.m., Frank Kalamaris is moving his P&M family restaurant into unknown territory. After investing over a million dollars in a building and equipment just down the street from his old restaurant (the former Central Bar and Grill), Frank and his family are moving from a tiny 22-seat space into a much bigger and grander location at 1946 Weston Road. They spent three years working on the new restaurant while keeping the old place going. Frank and his wife Niki at work in the old P&M. Anyone who dined at the old P&M knew it was special. Clearly, a family was working together to create an informal place where people could meet and feel at home. It was as if you were visiting friends or family. Most days were busy and thanks to the cheery greetings and close quarters, there was no avoiding hearing and becoming involved in conversation with your fellow diners. The place was unique and a genuine Weston Treasure™ for over 40 years. A passer-by asks Frank when he’s opening. 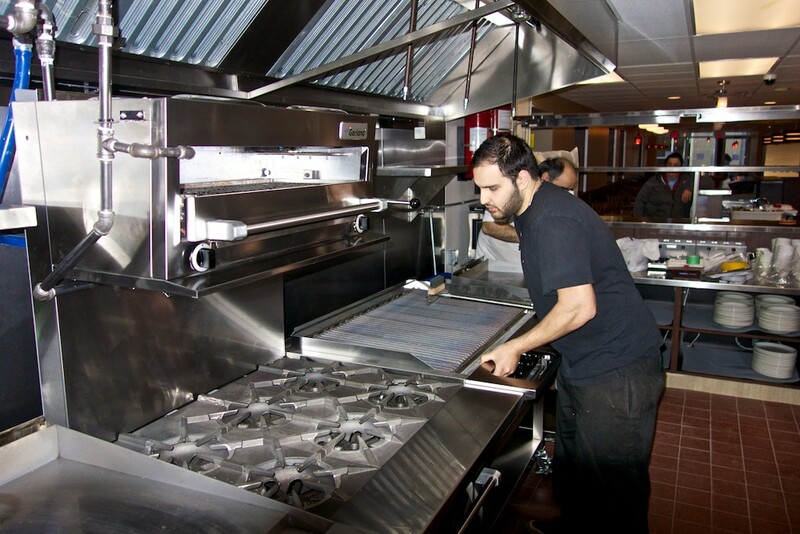 Son George moves kitchen equipment into place. 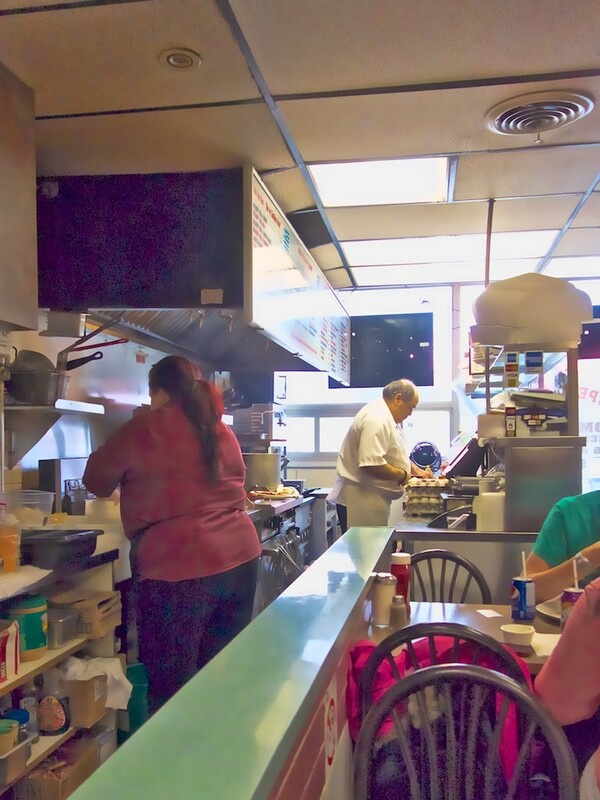 Frank reflects on the success his family achieved in the tiny restaurant. “We did it by getting to know people and what they liked. 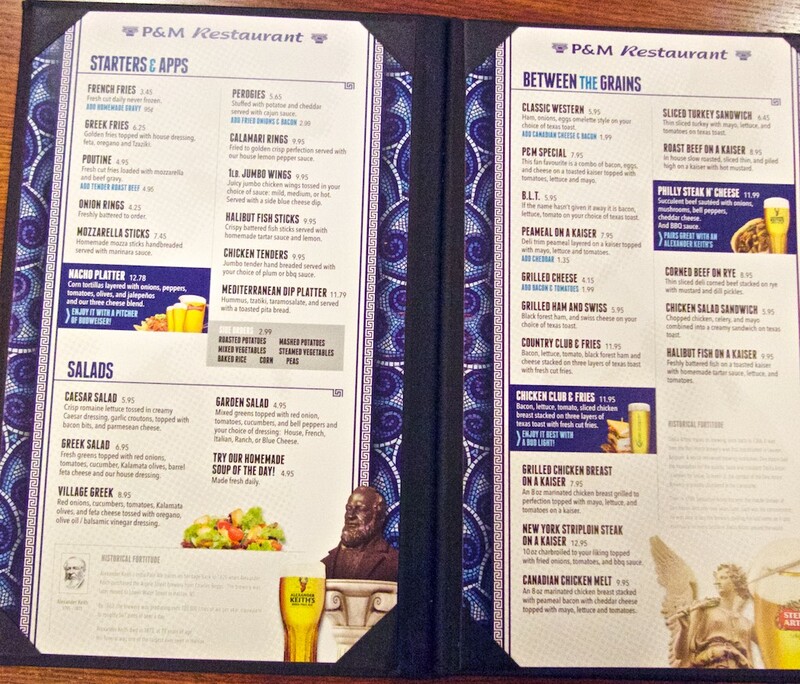 We have never advertised; our reputation is through word of mouth, yet we served 20,000 burgers last year.” He is fully confident that the tradition will continue in the new P&M Restaurant. 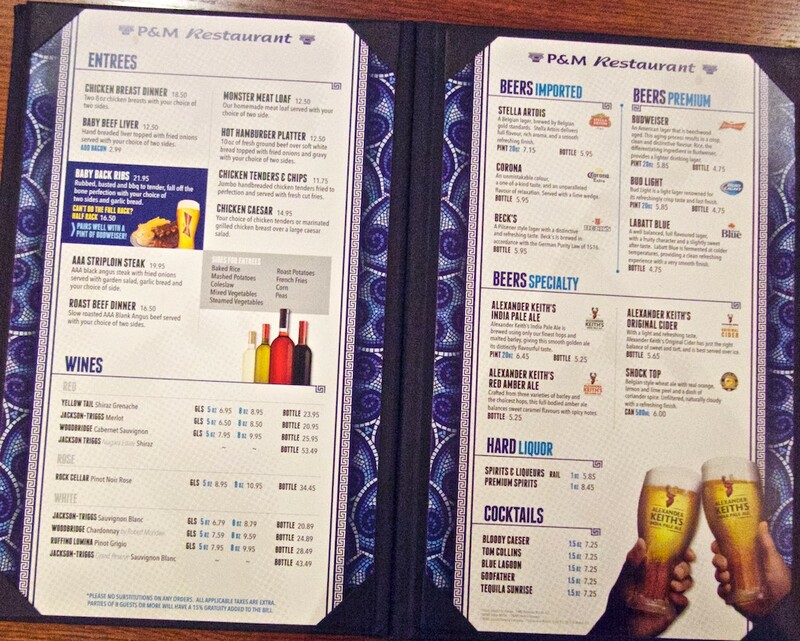 The menu has been updated but many of the old favourites are still available. 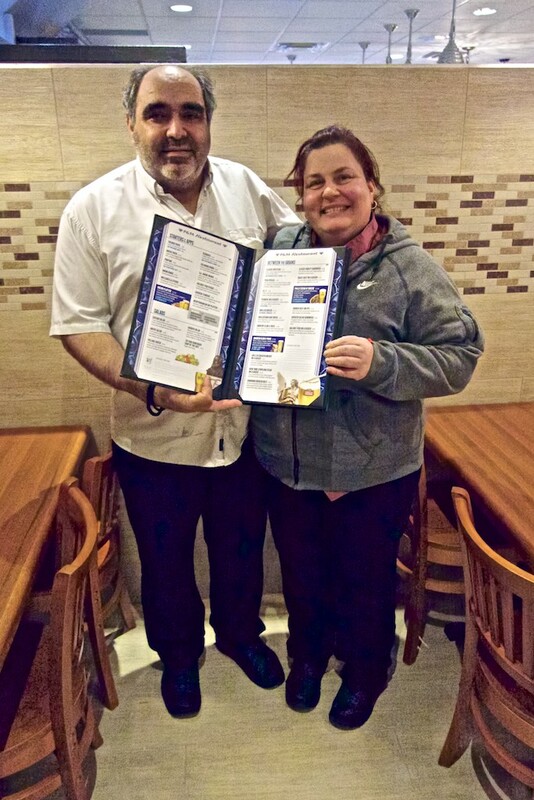 Frank and his wife Niki proudly hold the new menu. For those of you wishing to have an exclusive sneak preview of the menu, (or wish to keep it on hand for take-out orders), here it is. Click on each for a close-up. Opening day will be unusual for P&M’s as, after that, it will be closed Mondays (traditionally the quietest day of the week for restaurants). Saturdays will see a 7:00 a.m. start to accommodate Weston Farmers Market patrons. On May 4th, there will be no fanfare or official opening ceremony (that may come later). Just the Kalamaris family continuing the tradition of serving good food in a friendly atmosphere.